Weetabix has long been a popular brand in the UK, gracing British breakfast tables since it was first founded by Malcolm MacFarlane and Bennison Osborne way back in 1932. Various brands now fall under their umbrella, with the most prominent among them including the likes of Alpen, Ready Brek and Weetos. However, with declining sales becoming a concern, the brand is once again up for grabs just five years after China’s Bright Food made the acquisition at a price of £1.2bn. At the time of purchasing the brand, Bright Food saw promise in China’s swift adoption of Western tastes. However, Weetabix failed to topple the hot breakfasts preferred in the country and as such was unable to get the desired market share. As the UK’s second biggest cereal brand, according to Euromonitor, the Weetabix brand has attracted interest from various companies since Bright Food announced their intention to sell. Associated British Foods expressed early interest, as did pasta maker Barilla, and Swiss food and drink giant Nestlé. However, these bidders have now dropped out of the auction, allowing Post Holdings of New York to step in; they now look likely to finalise the deal in the near future. Bright Food was reportedly seeking a price of £1.5bn for the brand, but this ambition was made “challenging” due to declining sales and profits, according to industry experts. 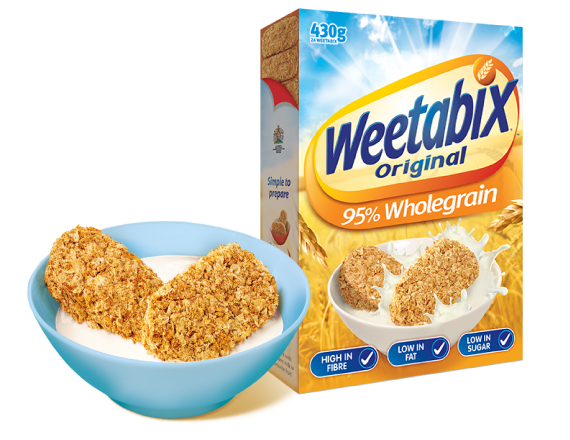 To put their woes into context, accounts show that Weetabix sales have fallen by 2% to £346.4m while profits have slumped by 13% to £94.3m. Despite this, a Weetabix spokesman has said that the company is enjoying “record market share”, increasing from 15.3% to 16.4% in the past year. The deal, when finally announced, is expected to carry a price-tag in excess of £1bn.